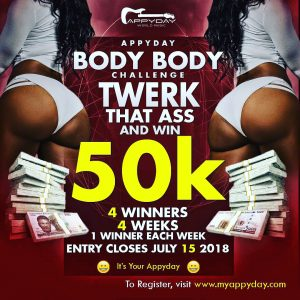 And there’s a Giveaway Challenge Up on till the 15th of July, 2018 where A New winner wins 50k every week. 1. Visit http://www.myappyday.com to register and download Body body free. 5. Most Creative, Viewed and Liked videos Wins.